August 23 is the 235th day of the year(236th in leap years) in the Gregorian calendar.There are 130 days remaining until the end of the year. 476 – Odoacer, chieftain of the Germanic tribes (Herulic - Scirian foederati ), is proclaimed rex Italiae ("King of Italy") by his troops. The Roman province of Egypt was established in 30 BC after Octavian defeated his rival Mark Antony, deposed Pharaoh Cleopatra, and annexed the Ptolemaic Kingdom to the Roman Empire. The province encompassed most of modern-day Egypt except for the Sinai Peninsula. Aegyptus was bordered by the provinces of Crete and Cyrenaica to the west and Judea to the East. Marcus Antonius Antyllus was known as Marcus Antonius Minor to distinguish him from his famous father, the Roman Triumvir Marc Antony. He was also called Antyllus, a nickname given to him by his father meaning "the Archer". 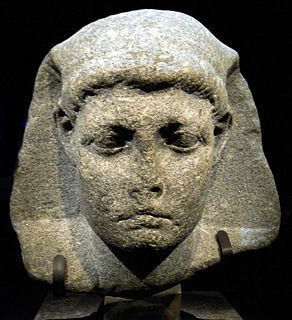 Despite his three children by Cleopatra, Marc Antony designated Antyllus as his official heir, a requirement under Roman law and a designation that probably contributed to his execution at age 17 by Octavian. Year 1482 (MCDLXXXII) was a common year starting on Tuesday of the Julian calendar. Siegmund (Sigismund) Freiherr von Herberstein, was a Carniolan diplomat, writer, historian and member of the Holy Roman Empire Imperial Council. He was most noted for his extensive writing on the geography, history and customs of Russia and contributed greatly to early Western European knowledge of that area. Gnaeus Julius Agricola was a Gallo-Roman general responsible for much of the Roman conquest of Britain. Written by his son-in-law Tacitus, the De vita et moribus Iulii Agricolae is the primary source for most of what is known about him, along with detailed archaeological evidence from northern Britain. Asterius, Claudius and Neon were a group of brothers, who suffered martyrdom. During the persecutions of Diocletian, the three brothers were handed over to the proconsul of Cilicia, Lysias. Martyred along with them were two women, Domnina and Theonilla a widow. Saint Éogan, was the founder of the monastery of Ardstraw. Ascelina (1121–1195), was a French Cistercian nun and mystic. ↑ "Queen Noor of Jordan Biography". biography.com. Archived from the original on 10 June 2011. Retrieved 20 January 2010. ↑ Monger, James Christopher (August 2017). "Trixie Mattel: Biography". AllMusic.com (All Media Network). Retrieved August 18, 2017. ↑ Madden, Sidney (August 23, 2016). "Happy Birthday, Lil Yachty!". XXL . Retrieved December 17, 2016. Wikimedia Commons has media related to August 23 .